Nottingham City Council has taken an important step towards its vision for a new neighbourhood along the banks of the River Trent. The City Council’s Executive Board gave its approval for a consultation on the Waterside Supplementary Planning Document (SPD) – which sets out the city’s vision for the area and provides planning guidance for future investors and proposals for new developments. Located close to the city centre, the Waterside has been a long-standing ambition for the City Council to create a new sustainable community all the way along the waterside setting from Trent Bridge to Colwick Park, and connecting the city centre and adjoining neighbourhoods including Sneinton and the Meadows. Once a public consultation is completed, Nottingham City Council will use the SPD for planning purposes and to provide guidance for investors and developers, including the need to provide high quality new homes and a requirement to preserve and enhance the unique habitat, riverside location and green spaces. The document also identifies possible areas for opportunities and sets out plans to safeguard areas for possible future needs, such as a new school, transport links and enhanced pedestrian and cycle pathways. Due to the scale of change envisaged for the 27-hectare site, the SPD allows the council to plan and control the level, type and timings of the change required ensuring that the area’s best assets are retained and used in the best way possible. The City Council will work with developers and landowners to implement new development schemes in line with the planning guidance in phases. 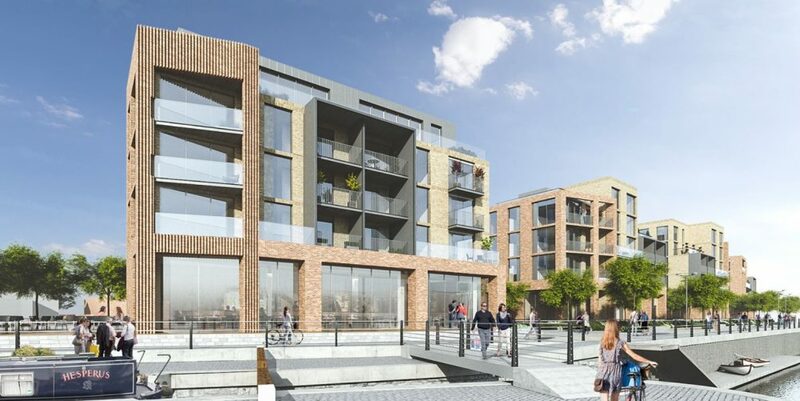 Cllr Jane Urquhart, Portfolio Holder for Planning and Housing at Nottingham City Council, said: “We have long-held ambitions to develop the Waterside area close to the city centre, which has started to get underway with the development of Trent Basin. “We want to see a new sustainable community created alongside the River Trent between Trent Bridge and Colwick Park, and the whole area connected with the city centre and adjoining neighbourhoods including Sneinton and the Meadows. Over the last few years a number of regeneration projects have been completed close to the Waterside area and include upgrades to Nottingham Station, a new retail development at Eastpoint on Daleside Road and successful eco-home schemes in the Meadows. Housing developments are also under construction along Arkwright Walk, Queens Road and Saffron Court on Crocus Street. The prime central location of Waterside provides a unique opportunity to create a new residential community with its own identity and character. It’s hoped that people will be able to enjoy the best of contemporary living, in a healthy, sustainable and vibrant riverside setting. The council wants to see new developments which will provide improvements to public spaces, including a cycling and walking path and green space along the river bank connecting the Nottingham and Beeston Canal towpath with the Victoria Embankment through to Colwick Park. It’s hoped families will be attracted to the new neighbourhood and space for restaurants, cafes, family spaces and art projects, as well as the unique and natural riverside habitat being protected. A public consultation on the SPD is due to begin in early November.